Dr. Taylor’s office is happy to delivery high-quality care to every member of the family, whether they be children or grandparents. We offer a whole range of services for any age, from preventative cleanings to fillings, root canals, and restorative work. To prevent more serious problems down the road, you probably know that it is essential to keep your children’s teeth healthy. Just like teaching your child the life-long habit of daily brushing is important, so is bringing them in for yearly checkup and professional cleaning. 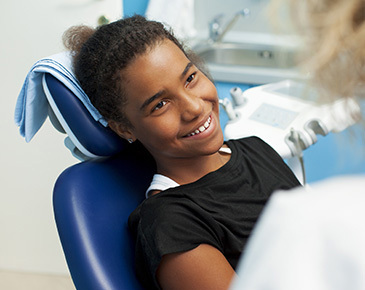 Although myths persist that cavities on baby teeth don’t need to be filled because they aren’t “permanent,” children’s cavities should always be assessed by the dentist. Besides being painful, a damaged tooth can affect the child’s speech development, impede chewing nutritious foods, and can change the eventual spacing of the permanent teeth. Not only will we help you take care of any issues, we can also offer instruction and advice on how best to take care of teeth at home. Even after adulthood, maintaining good oral hygiene prevents potentially painful and expensive dental problems before they start. An important component of this is a yearly visit for cleaning. During the visit, the dentist will remove plaque build-up and examine the teeth to find potential problems before you do. Professional cleaning can help remove unsightly surface stains from coffee and many other agents. Click here for more information about our professional teeth whitening services. In the event we do need to treat cavities and tooth decay, Dr. Taylor and his team are happy to offer a range of options, including naturally-colored fillings. Once applied, these fillings are virtually indistinguishable from the neighboring teeth. These fillings have several other advantages, including insulation of sensitive parts of the tooth from hot and cold. 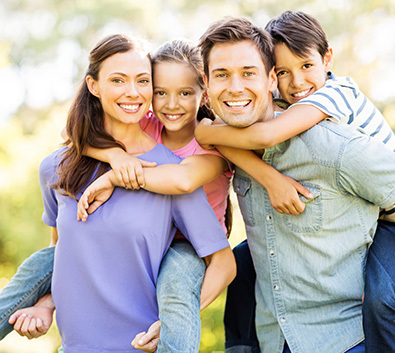 Having one dental practice for the whole family gives you convenience, continuity of care, and the peace of mind that all of your loved ones can come to our practice for a lifetime of healthy smiles. If you have questions or would like to schedule a routine cleaning or checkup, call us today.